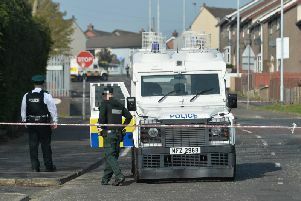 Although a post-mortem has been completed into the murder of a man in Ballymoney, police have declined to release its findings. Detectives said Brian McIlhagga, 42, suffered “a vicious, brutal and sustained attack” by a gang of masked man at Riverview Park on Monday night after which he was dragged outside a house he was visiting and shot in the leg. A PSNI spokeswoman said on Wednesday that police were “not in a position to disclose the results of the post-mortem” so as to clarify the precise cause of death. North Antrim MP Ian Paisley said that he was “disgusted at this brutal murder”.